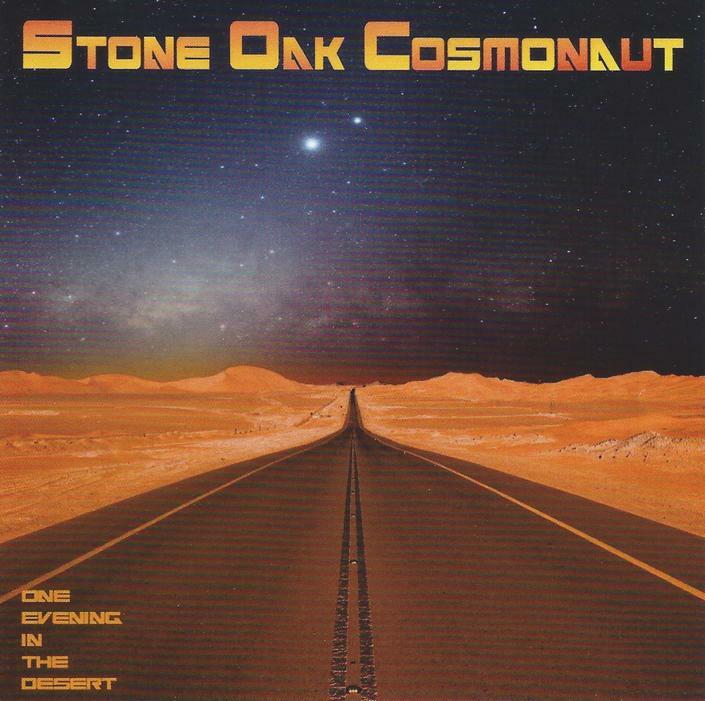 It’s been almost five years since the last album from Dutch Space Rock/Stoner/Metal band Stone Oak Cosmonaut. The Cosmonauts are a quartet of dual guitars, bass, drums, synths and electronics, and One Evening In The Desert includes both shorter songs and longer stretched out jam tunes. Among the shorter songs is the punky, Hawkwind styled space rocking title track. Cosmic Messenger and The Sun are both heavy hitting stoned Space-Metal tunes. Stone And Light is similar but totally Psychedelic demonic with killer guitars. The band go all Motorhead on our asses on the fast and furious Outside. Festival is a little different, being a more straightforward rocker, though it’s got a catchy melody and cool guitar licks. Among my favorite tracks is the 13 minute Mind Full Of Capsules, which is a darkly heavy rocking blend of Sabbath-in-space Stoner-Metal and heavy tripped out hard Psych Rock. But it also has a drifty Space-Ambient transitional segment with Bluesy trip guitar, spaced out synth washes, electronic effects and quietly threatening vocals that gradually build back up the intensity level as the music thunders along on its cosmic offensive before the explosive Psychedelic Space-Metal finale. The 12 minute Voyagers is another highlight, with an impressive sequence of thematic variations, transitioning from drifting spaced out hard Prog-Psych excursions to music that brings to mind a Satan worshipping ritual in space. And the instrumental Incident In Galaxy Nine features heavy Psych Space Rock with a tasty melodic Metal edge, loads of fun alien electronics, and various thematic twists and turns. I think this is the first time Stone Oak Cosmonaut have had two guitarists and I’m hearing some of the best playing from the band yet on this album.